these are the original PDO black olives from Kalamata in Peloponnese – Greece. They have a natural dark purple colour and an unforgettable taste. 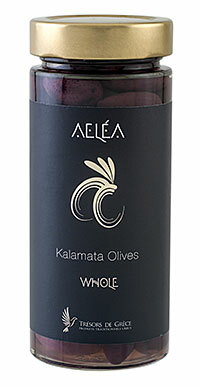 Kalamata olives are ideal for the traditional Greek “Horeatiki” salad (tomatoes, cucumber, onion and Feta PDO cheese). They can also be served as a fine appetizer together with freshly toasted pita-bread or traditional Greek bread-crackers from Crete or Kythira island. Try them sliced in your sandwich or on pizza. Olives (collected exclusively from Sparta – Peloponnese region), water, sea-salt. 100% natural product.